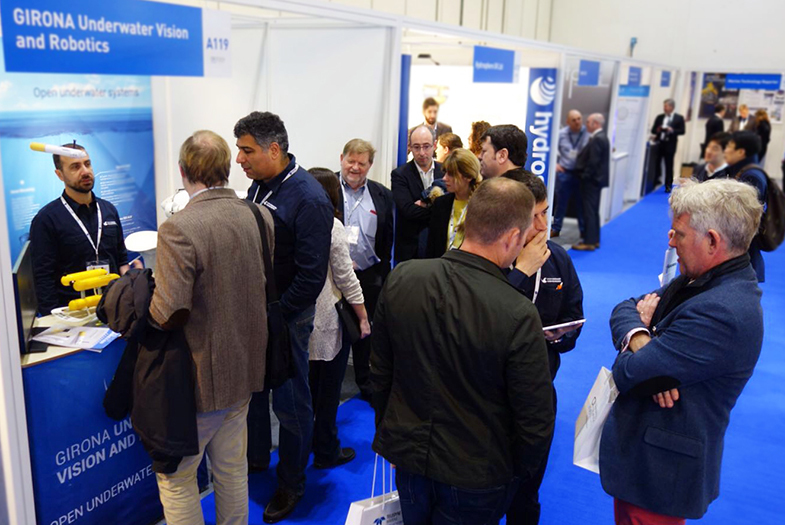 Oceanology International is the world leading marine science and ocean technology exhibition. Every two years, Oceanology International brings together the latest technologies and worldwide leaders from a variety of industries including oil & gas, engineering, marine science and maritime security. 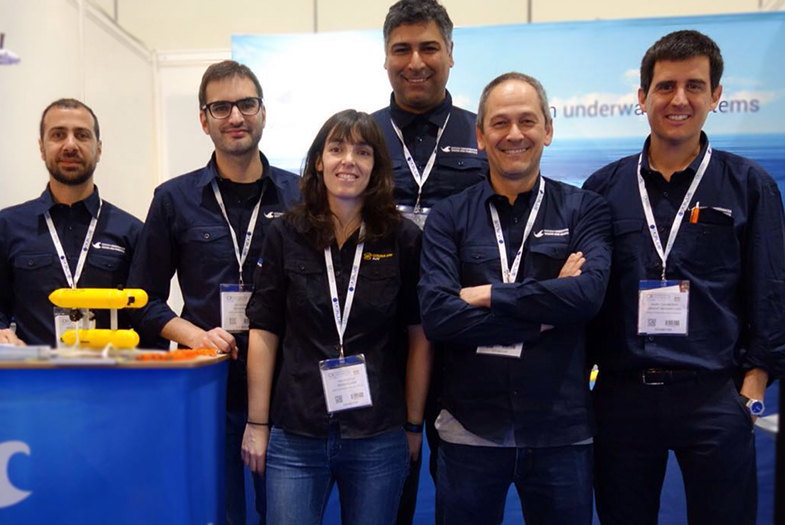 Girona Underwater Vision and Robotics team was present in the exhibition to showcase the two AUV prototypes developed by the research group (Girona 500 and Sparus II AUV) as well as the different image and sonar data processing capabilities. The stand of the group received many interested visitors throughout the exhibition days thus enhancing the visibility of the group at a global scale and establishing new networking opportunities and new relationships for potential future businesses.